This particular stuffing has been on my list to try for a while now and after rediscovering a jar of sundried tomatoes in my fridge, I thought it was about time I gave it a whirl. The ingredients that make up a tepenada are all so flavoursome that you really don’t need that much of them to make your mouth water! I served this with a lemony green salad (salad leaves, peeled courgette, a little grated parmesan and lemon) and butternut squash chips. It was delicious and definitely something I will be rustling up again soon! Preheat the oven to 180c. If you are having butternut squash chips, pop these in the oven whilst you are preparing the chicken. That way they will be ready at the same time as the chicken. 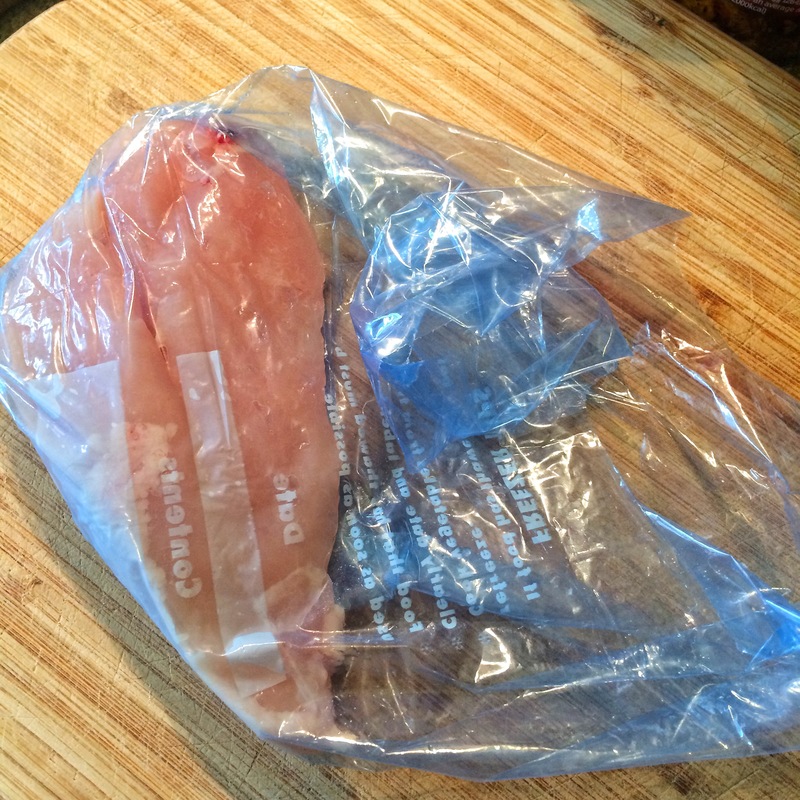 Place one chicken breast into a food bag and using a meat mallet, flatten until the chicken is around 1/2cm thick. 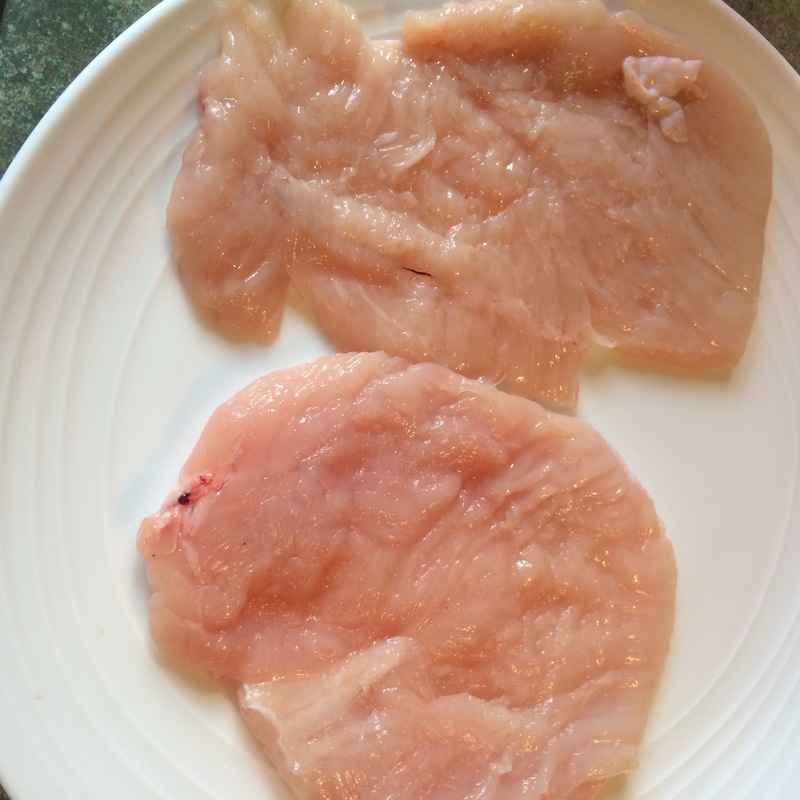 Repeat with the second chicken breast and then lay both flat on a plate. 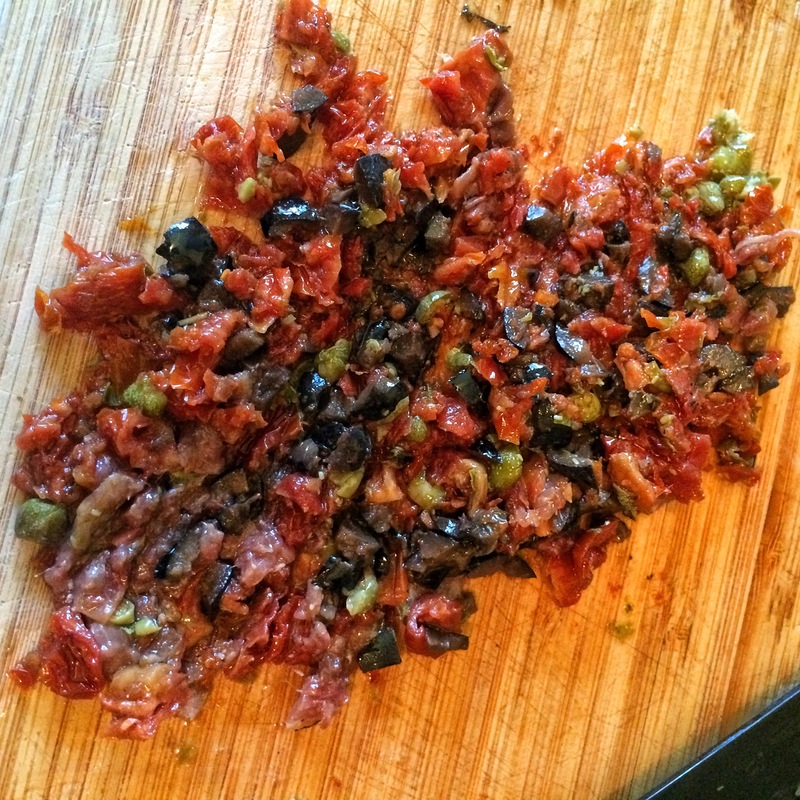 Finely chop the sun dried tomatoes, capers, anchovies, and olives, mix together and squeeze over the juice of 1/4 lemon. 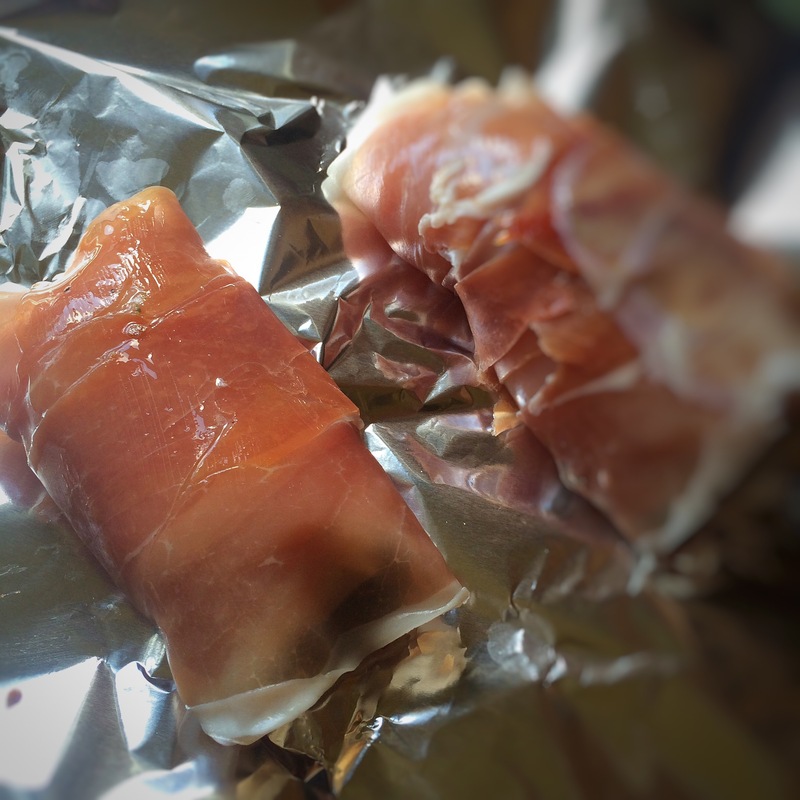 Cover a baking tray with tin foil and lay out two slices of prosciutto side by side lengthways. Repeat with the other two slices leaving a gap between the other two. 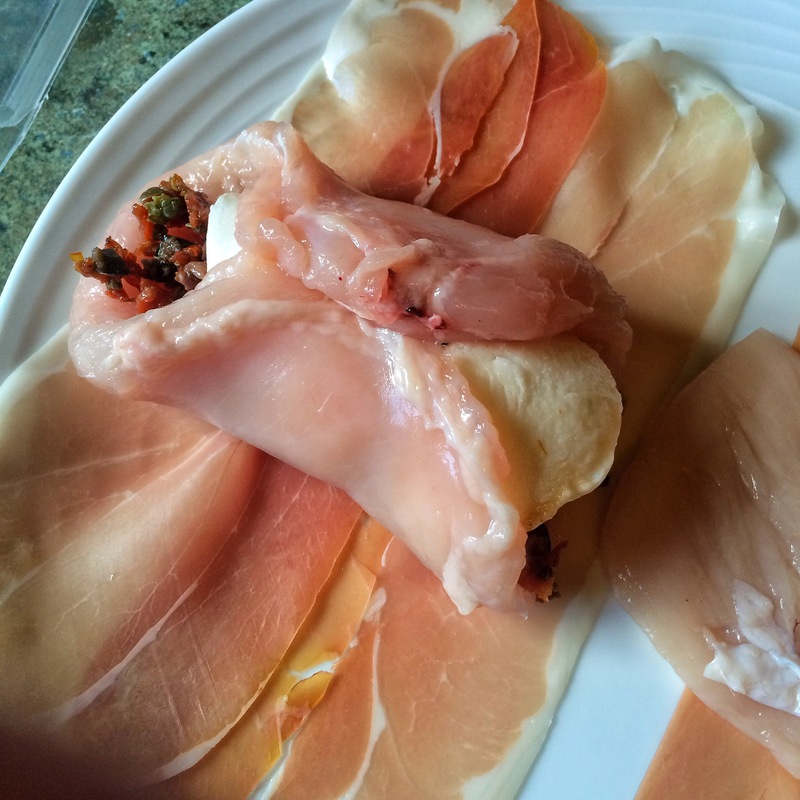 Spoon half the tepenade mixture horizontally across the chicken and top with the mozzarella. Repeat with the other breast and the rest of the tepenade Roll the chicken so the stuffing is enclosed and then roll the chicken in the prosciutto. 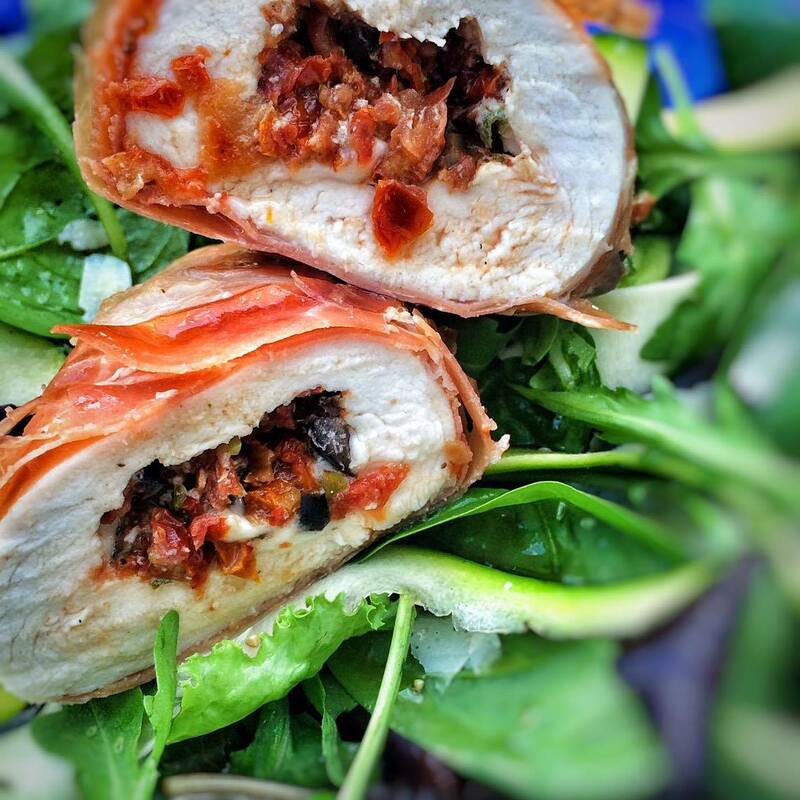 Spray with low calorie spray, season and then place the stuffed chicken, seal side down on the baking tray and pop in the oven for 20-25 minutes until the chicken is cooked through. Remove from the oven and serve with the BNS chips and courgette salad.